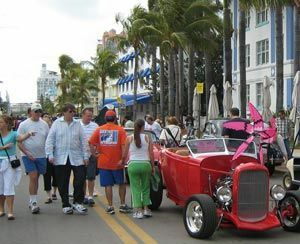 Each month the City of Miami hosts several Miami events that offer tourist as well as locals plenty to have a nice time in Miami. Most of these fairs and festivals in Florida are highly educational and offer activities for all family members from grandparents to kid friendly activities. This year’s fairs and festivals in Florida, specifically in the greater Miami area, promise to be better than ever. The biggest festivals in Florida are well-known around the country and the world. Miami events such as Art Basel, Art Deco, Coconut Grove Art Festival, Arteamericas, Art Miami, Ultra Music Festival, and the Music Conference occur every year in the fabulous city of Miami. In order to help planning your trip, Miami-Info.com suggests a lot of travel resources, including Miami hotels, affordable Miami vacation rentals, and well located Miami car rentals. You can also rent a boat or an exotic car in Miami through this Miami guide. The Art Basel Miami 2009 art show offers cultural events exhibiting architecture, design, music, film and other creative pieces and mediums.